Pre-Purchase Inspections at DT Service Centre in Al-Quoz! Call us and make sure your new car is a dream and not a nightmare. Finding a nice car is the first step towards your dream purchase. However, it might look nice from the outside, but do you really know its overall mechanical or electrical condition? Does the car have a comprehensive and up to date service history? Has the car been involved in a huge accident resulting in a total loss? Is it an imported car with a dark history? Most people would never know. Every vehicle inspected by Deutsche Technik will receive a comprehensive 200-point technical check. The technical report will be accompanied by a report detailing anything that might need urgent attention and notes for future consideration. After assessment and consideration of any issues that may need attention, we will evaluate the car asking price based on current market conditions. Ultimately, we will do all we can to ensure that you are armed with as much information as possible so that you can make a comfortable purchasing decision based not only on visual condition/look, but also technical and safety related facts. General safety and technical inspection of brakes ,steering components and tyres. 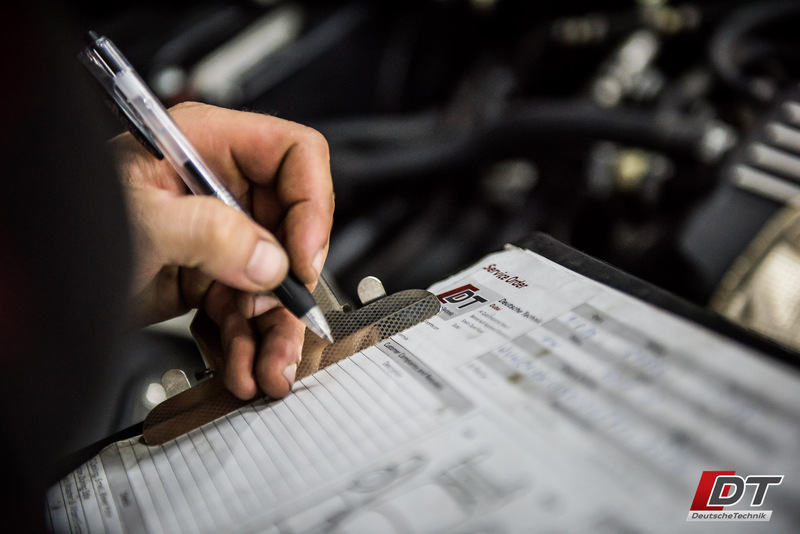 Check where possible any main dealer or independent workshop service records along with a physical check. A good service history can help with the resale value. Remove all plastic underneath covers to visually inspect and check the main chassis of the car to identify any repairs or replace. The overall cosmetic condition of a car can also reflect the way the car has been driven and if it has been generally well looked after. A Pre-Purchase inspection can help to uncover any possible faults that the seller may be trying to hide or may even be unaware of himself. Many cars these days have the computing power of 150 laptops and knowing the state of the electrical system is crucial. Our experienced team of skilled technicians will prepare a comprehensive checklist to ensure that you know exactly what you are buying.